While the concept of any member of the royal family going incognito seems downright laughable, it isn’t just possible — it actually happened. And recently, no less. 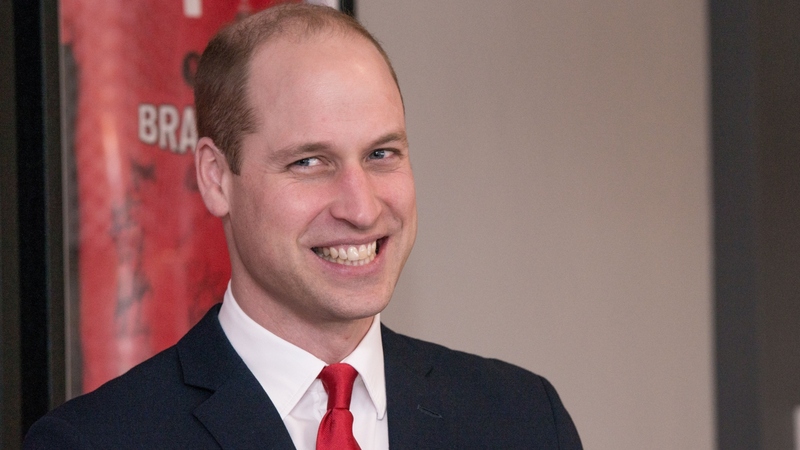 Per a press release issued by Kensington Palace on Sunday, Prince William has learned to be a spy via a top-secret three-week training mission. The “attachment,” as referred to by the royal family, involved interning with three of the country’s intelligence and security agencies: the Secret Intelligence Service, the Security Service and the Government Communications Headquarters. The Duke of Cambridge has concluded a three week attachment to the UK’s Security and Intelligence Agencies (MI5, MI6 and @GCHQ). The attachment comes as the three security services continue their vital work both at home and abroad to keep our people and our allies safe. The Duke of Cambridge said: “Spending time inside our security and intelligence agencies, understanding more about the vital contribution they make to our national security, was a truly humbling experience. These agencies are full of people from everyday backgrounds doing the most extraordinary work to keep us safe. They work in secret, often not even able to tell their family and friends about the work they do or the stresses they face. They are driven by an unrivalled patriotism and dedication to upholding the values of this country. We all owe them deep gratitude for the difficult and dangerous work they do.” The Duke’s assignment began with a week at the Secret Intelligence Service – MI6 – who work secretly overseas, developing foreign contacts and gathering intelligence that helps to make the UK safer and more prosperous. They help the UK identify and exploit opportunities as well as navigate risks to its national security, military effectiveness and economy. His second week was spent at the Security Service – MI5 – where he saw their work to protect our national security, particularly against threats from terrorism. He finished his assignment at the Government Communications Headquarters in Cheltenham, where he spent time with those using cutting-edge technology, technical ingenuity and wide-ranging partnerships to identify, analyse and disrupt threats. With the threat level for international terrorism in the UK set at SEVERE or above for the last five years, the Duke was keen to see first-hand the extraordinary work that staff across the Security and Intelligence Agencies do — visit @GCHQ to find out more about the work of Government Communications Headquarters in Cheltenham. According to Kensington Palace, the work that William alludes to is more vital than ever — the release somberly states that “the threat level for international terrorism in the UK [has been] set at SEVERE or above for the last five years.” Not surprisingly, then, William took the mission very seriously, even spending a week at M16 (aka the foreign intelligence unit of the beloved fictional spy icon James Bond). And if you’re harboring any delusions that William wouldn’t be cut out for the double-agent life, think again. The GCHQ Head of Counter-Terrorism Operations, who is identified only as “David,” revealed, “William worked exceptionally hard to embed himself in the team and comfortably held his own amongst some highly skilled analysts and operators. His Royal Highness asked some probing questions and demonstrated a real grasp of our mission.” David noted that the mission was a “rare opportunity” to expose an outsider to the extreme acumen it takes to keep the UK safe on a daily basis. In the grand scheme of roles and responsibilities William has tackled outside of the royal family, it sounds like he’s far better suited at being a spy than, say, his more strait-laced prior gigs at the Bank of England and the London Stock Exchange. Come to think of it, isn’t Hollywood still looking for the next star to slide into 007’s shoes? While we can’t imagine Kate Middleton would be too keen on her royal husband being a real-life double agent, she might not object to him playing one. After all, he’s already done the role research.